Safari does a great job on normal vet check-in stuff and can also kennel your dog for a week or two if you ever need to travel. He is available at 099 713 2911, 082 100 1649, 099 895 5678, 099 490 0386. Aristote (082 100 1649 or 099 895 5678), Constantine (099 866 6817) and Amuli (089 415 8920, 099 866 6817) are vets, too. Fanfan is a dog trainer in Goma. He’s at 0975 911 461. Jode Garbe is an American vet living in Kigali. She is occasionally hopping over to Gisenyi. She is expensive, but she does a great job. Jode.garbe@rwandanow.org. If you need advice or want to organize play dates, I suggest you reach out to Arnaud, Dominique, Laura, Manu, Anna or Hagi. If you need tips for keeping a dog in Gisenyi, Ryan can help you. 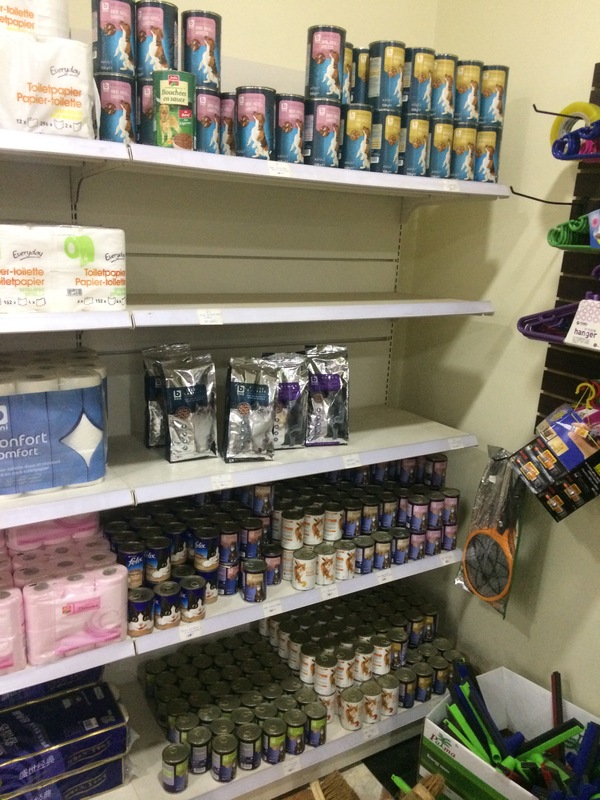 Safari has a well stocked store in the city center. You can get dog food at Safari’s vet store, Ok-Mart, Sandro (see below) and GoShop (it’s pretty expensive, around $40-75 a bag). You can also get bones and meat for pretty cheap at butcheries in the city center. Safari (099 713 2911, 099 490 0386) and Jode Garbe (Jode.garbe@rwandanow.org) can handle your import/export of your pet in Congo and Rwanda respectively. Things you need include a blood sample tested for rabbis, chip, vet certificate, itinerary, transport permit for Rwanda and an approved cage. Make sure you checked on the quarantine regulations in your country of destination. 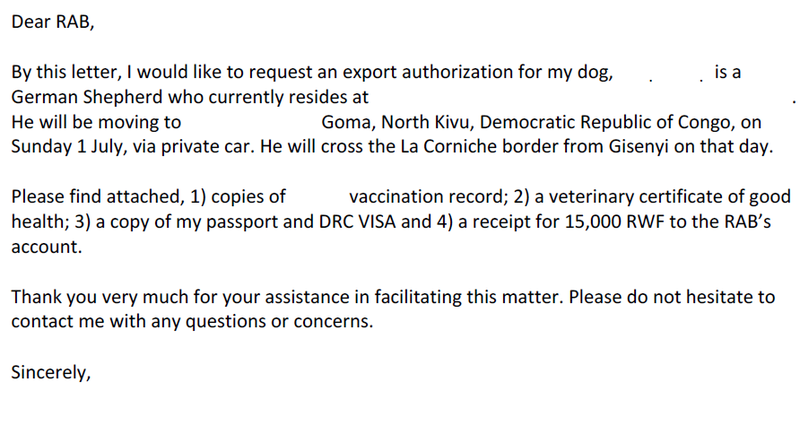 If you import your dog from Rwanda to Congo, you need to submit a letter to the Rwanda Agriculture Board (RAB). See sample below.